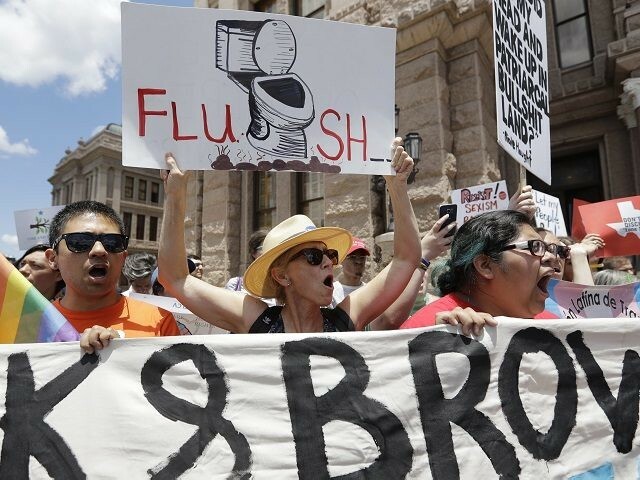 The political move comes on the day that the Texas Senate is debating Senate Bill 3, also known as the “Bathroom Bill.” Senator Lois Kolkhorst (R-Brenham), the author of the bill, brought the “Texas Privacy Act” to the floor for debate at the beginning of the session on Tuesday morning. Democratic Austin Mayor Steve Adler reportedly said that passing the bill will actually make cities less safe. The fight against the legislation that would protect women and girls in women’s restrooms and facilities has pitted conservatives against Democrats, the LGBTQ community, and other social liberals. Senator Kolkhorst pre-filed SB 6 (later filed for the special session as Senate Bill 3) and said that the Texas Privacy Act had been written, “not to begin a controversy, but to end one.” Kolkhorst said it was designed to provide “clear state guidance to public schools and buildings and [it] requires them to provide an expected level of privacy,” she said. Breitbart Texas reported that the Obama administration issued a “Dear Colleague Letter on Transgender Students” last May saying that transgender students should use facilities they “gender identify” with at the moment.